Cruise holidays offer the best of all worlds. They provide pampering, decadence, relaxation, and excitement in one convenient location. 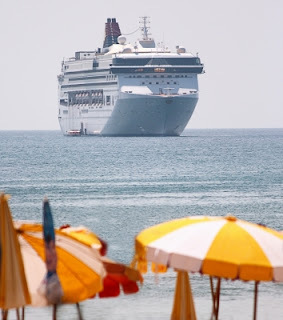 The largest cruise lines accommodate thousands, each with their own holiday agenda. While one passenger may spend an entire week reading books on the deck, others may focus on shore excursions that take them zip-lining through a jungle or snorkelling in the deep blue sea. Whatever one's holiday goals may be, it is important to keep some tips in mind when searching for a cruise this year. Gone are the days when last minute pricing offered the best deals on cruise getaways. These days, cruise lines choose to entice passengers to purchase early by offering their best prices far in advance. Though it is true that last minute deals exist, these are often the least desirable rooms that are still at a higher rate than their earliest listing. Cruise lines are continually at competition with one another. One of the ways they try to best each other is with upgraded ocean liners. For a similar price, one may have a very different experience. Some of the regular upgrades that appear in ships include expanded staterooms, enhanced swimming pools, and additional dining. Staterooms on cruises are notoriously small. When a group decides to embark upon a cruise, they often believe that they must either spend a great deal of money on an upgraded suite or they must continuously bump into one another in the tiny space. The fact is, the size of staterooms vary greatly from ship to ship and from room to room. Furthermore, in some ships, the largest rooms are those without balconies that are priced at the mid-level. Even in rooms of the same class, some can be slightly larger depending upon their location on the ship. Call the cruise line or a travel agent to find precisely which stateroom offers the most space before booking the trip. The coastal cruises that depart from Sydney and Melbourne are blessed with generally mild temperatures throughout the year. However, those who plan extended holidays on their cruise ships may head anywhere in the world to explore the distant shores of foreign lands. Hurricane season in both the Pacific and Atlantic Oceans begin in early June and cease in late November. Tropical cyclones in the North Indian Ocean peak during this time as well. Pacific typhoons are more common in January. Choosing dining options, arranging for children's activities, planning shore excursions, and booking time in the spa can all be done aboard the ship. However, those who wait until they are afloat are often left with the last available choices and time slots. Book activities well in advance, if possible at the time of booking, to guarantee a fulfilling holiday. Choosing to cruise is an excellent idea no matter where or when one travel. Making a few early and easy choices, however, can make the difference between a good holiday and an excellent one. Rebecca is a Travel Planner from Sydney, Australia. She says that cruises will be more popular than ever in 2013 and says that these five things are essential when planning your trip. She recommends taking out cruise travel insurance for peace of mind on your cruising holiday.